I know I posted about the last 48-Hour Online Extravaganza Sale this morning, but I wanted to post a card for you today, too. For the next four days, I'm going to be sharing cards made with the beautiful Snowflake Showcase Products. I'm so sad that they won't be available much longer. 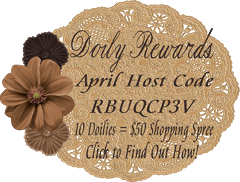 They'll be available until THIS Friday, November 30, 2018 or while supplies last...whichever comes first. 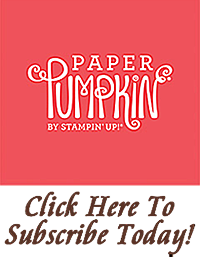 The White Velvet Paper has already sold out! 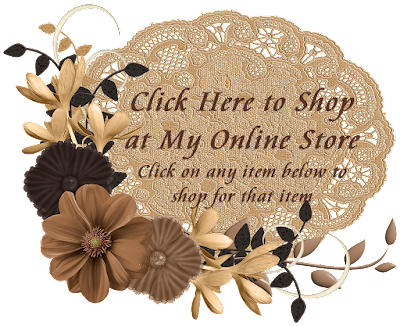 You can see the Snowflake Showcase items that are still available by CLICKING HERE. 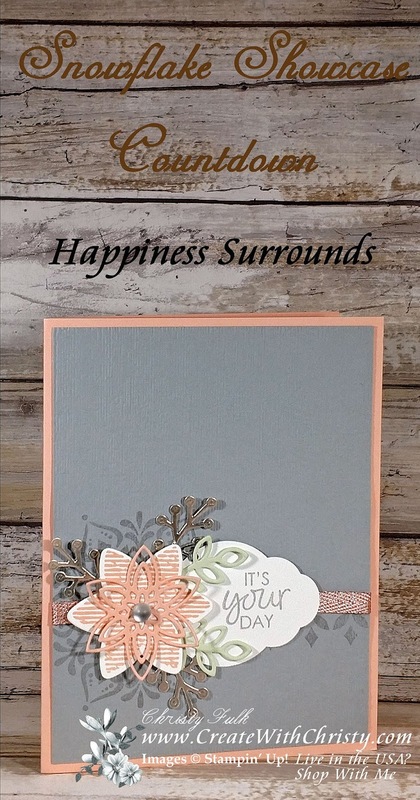 Today's card features the Happiness Surrounds Stamp Set and Snowfall Thinlits Dies. 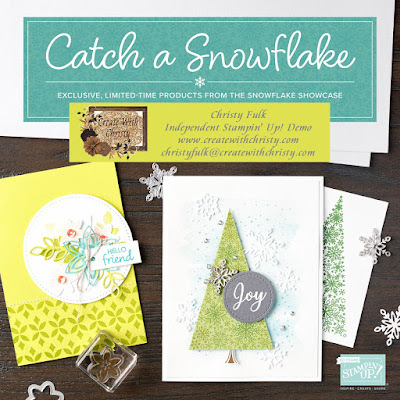 I love how the dies coordinate with this stamp set, and the other Snowflake Showcase stamp set, Snow is Glistening. The detailed snowflake dies are gorgeous, too! 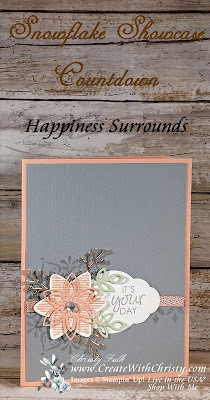 Champagne Foil Sheets: 4-1/2" x 1"
Stamp the large medallion stamp from the Happiness Surrounds Stamp Set onto the bottom, left of the Smoky Slate piece using the Smoky Slate Classic Stampin' Pad. Stamp the border stamp on the bottom, right side of the same piece (next to the medallion), lining the top of the border up with the middle of the medallion, using the same ink pad. 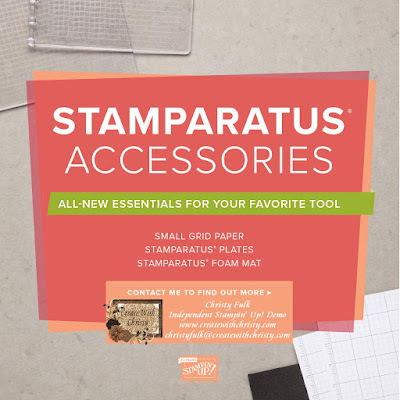 Emboss the piece by running it through the Big Shot with the Subtle Dynamic Textured Impressions Embossing Folder. Wrap the ribbon around the piece, lining it across the middle of the medallion and the top of the border, and attach the ribbon ends to the back of the piece. Fold the Petal Pink card base piece in half (fold on the left) to form the card base. Attach the above piece to the center of the card front. Punch out a label from one side of the Whisper White piece using the Pretty Label Punch. 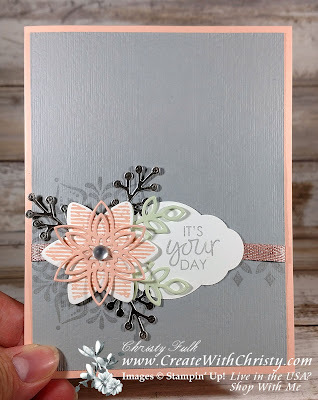 Stamp the "It's Your Day" stamp onto the right side of the label using the Smoky Slate ink pad. Lining the left end of the label into the center of the medallion, attach it to the card. It will cover up part of the border, too. 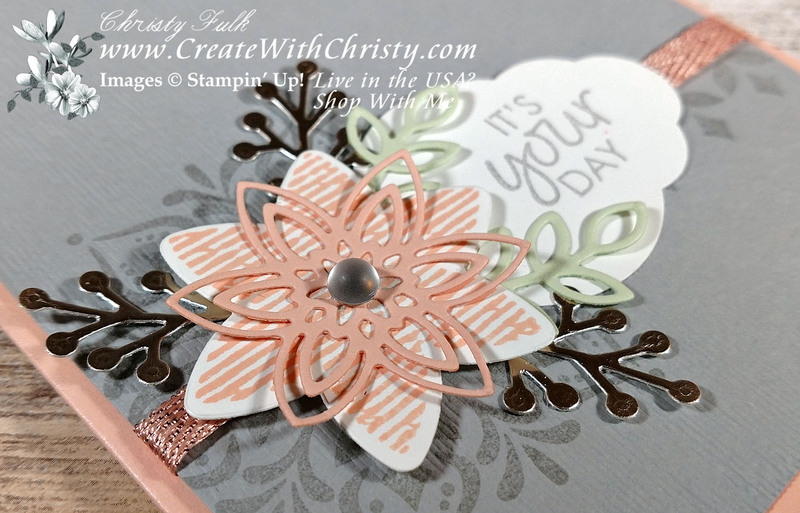 Stamp the lined-flower stamp onto the other end of the Whisper White piece using the Petal Pink Classic Stampin' Pad. Die-cut it out with its coordinating die from the Snowfall Thinlits Dies. Die-cut both leaf branch dies out of the Soft Sea Foam piece. Die-cut the berry branch die out of the Champagne Foil Sheet three times. Die-cut the detailed flower die out of the small Petal Pink piece. 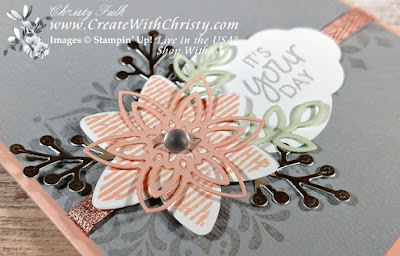 Attach the detailed flower onto the center of the stamped flower using a Mini Glue Dot (see picture). 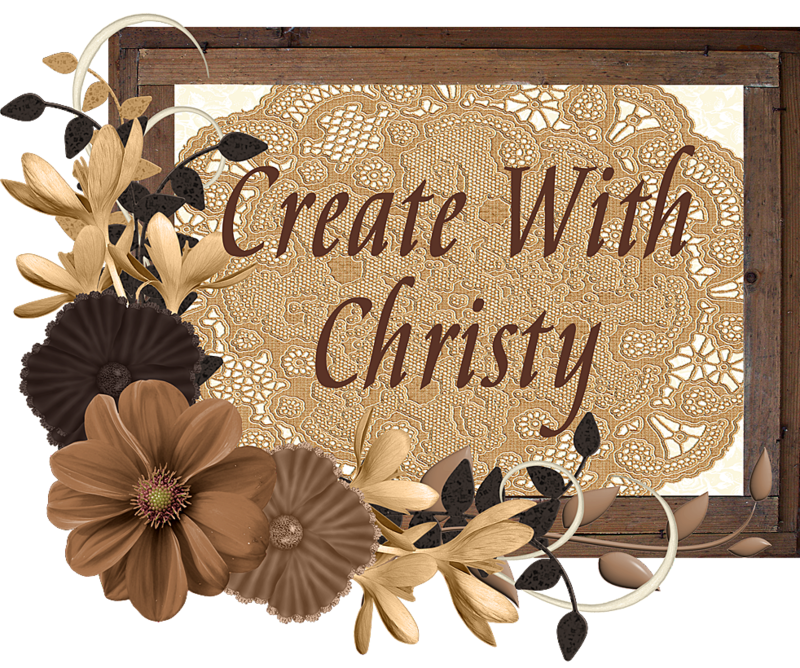 Attach the flower inside the middle of the medallion using a Stampin' Dimensional. Put a Mini Glue Dot onto the bottom back of each of the other die-cuts, and attach them around the flower, tucking the end with the Glue Dot under the flower (see picture for placement). Attach a large frosted droplet from the Frosted & Clear Epoxy Droplets onto the center of the flower.